TRIO MumboJumbo will be hoping the crowd shows them some love when they play Bromsgrove Folk Club on Valentine’s Day. 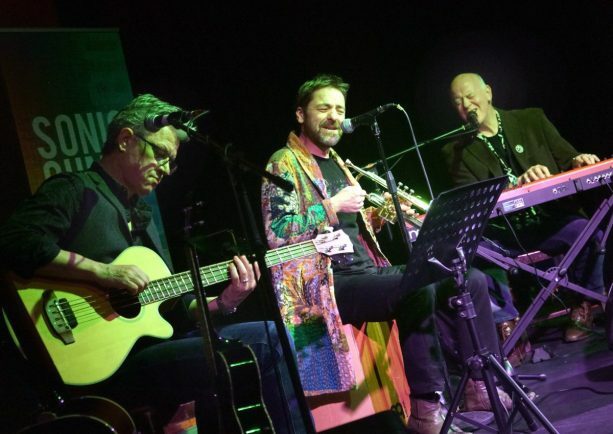 Oliver Carpenter, Chris Lomas and Phil Bond are renowned for their live performances and were nominated in the British Blues Awards in the Best Original Song category for their track ‘Nice Work’. As well as the music they also promise some great light-hearted banter on the night. The show at Catshill Social Club on Thursday starts at 8pm. Tickets are £7 for members, £9 for visitors and £3.50 for under 25s. Call Bob Bignell on 07828 716842, email bobcynfolk@aol.com or visit www.bromsgrovefolkclub.co.uk for more information.